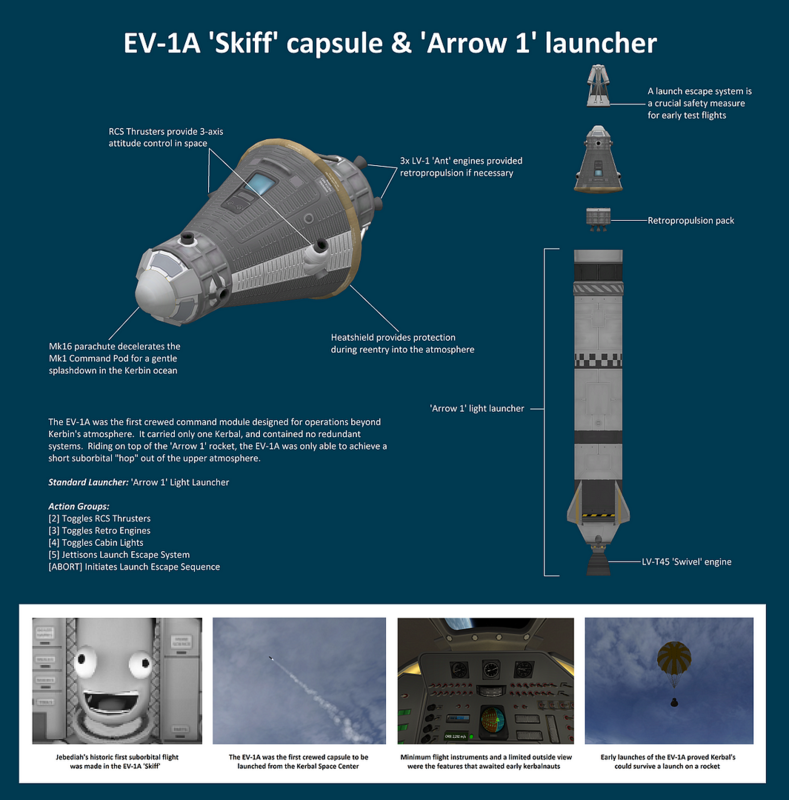 The EV-1A was the first crewed command module designed for operations beyond Kerbin’s atmosphere. It carried only one Kerbal, and contained no redundant systems. Riding on top of the ‘Arrow 1’ rocket, the EV-1A was only able to achieve a short suborbital hop out of the upper atmosphere.